No watermark on your files. 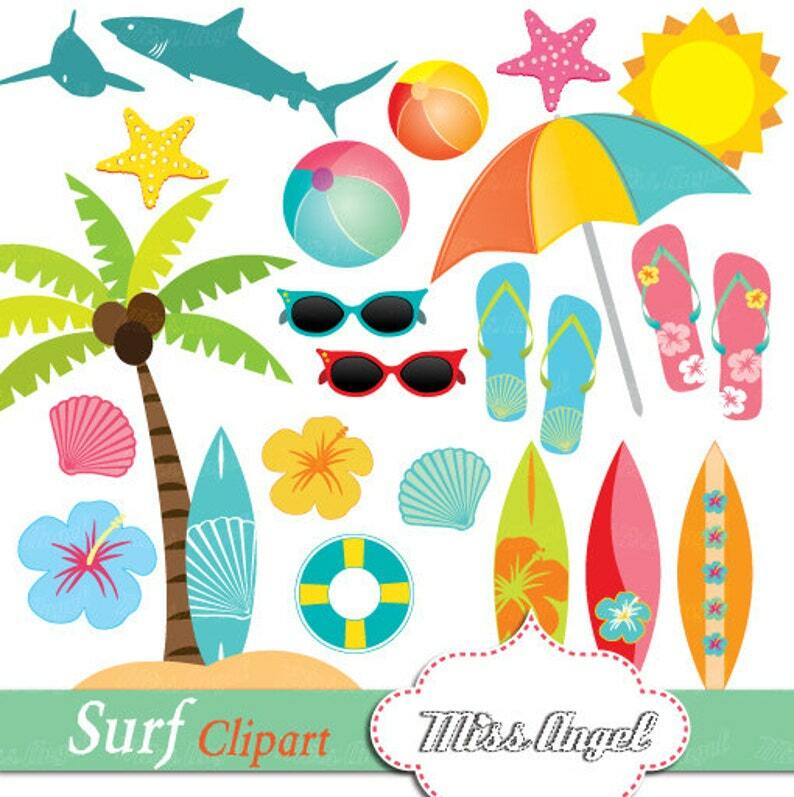 All our Clip Arts are originally designed by MissAngelClipArt especially for U! This listing is for Personal, Non-Profit and Small Commercial Use. By purchasing from MissAngelClipArt, U agree to our Policies. Surf Clipart. 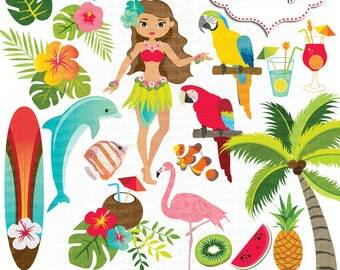 Hawaii clipart. 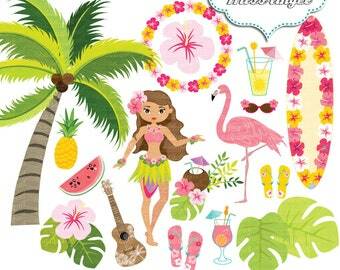 Summer Beach Clip Art. 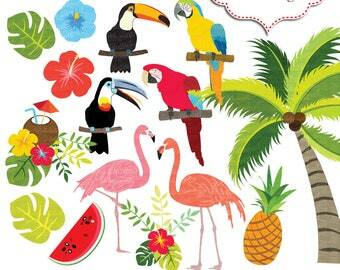 Surfboards, Palm tree, hibiscus, dolphin, flamingo, pineapple. 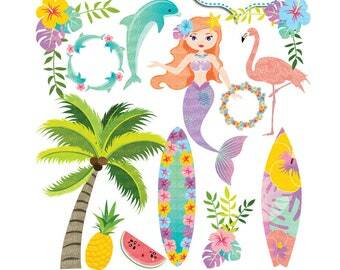 Hawaii Surf Clip art. If U don't have a PayPal account, PayPal lets U make payments through a variety of debit/credit cards without signing up. Since these are digital files for instant download, we can't accept any refunds or exchanges. However, if U aren't totally happy with your purchase, please contact us! For this, U must purchase the extra fee. For ALL personal or non profit use. ...and wherever your heart takes U!!!!! as long as U sell the item "flattened" or "rasterized". Not ever U can sell them "as they are" without any change or alteration. • Repackage or re-sell ANY art as part of a clip art or scrapbook set or kit. U can't use it in any offline or online designer resource tools, CD collection or similar. 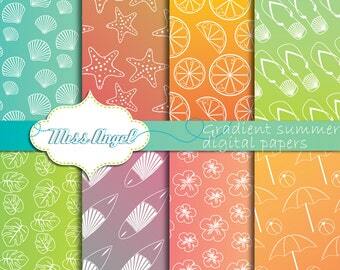 • Re-Sell, redistribute, transmit, transfer, store in website, share or give ANY of MissAngelClipArt products. What can I do with my files? What can't I do with my files? What if I want a custom item? What if I have a problem with downloading my files? Having problems downloading the files? Please contact us and we'll send them via e-mail within 12-24 hours of purchase. If U by chance received a damaged file, we'll exchange it for a new one or in another format, no worries! All files are created at high quality 300 dpi and are print ready! They are PNG files (transparent background) or JPEG (white backgrounds), sent in a ZIP folder file.